westbound side and across the street from Domino's. 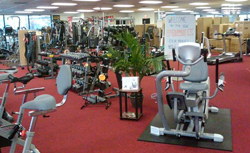 LARGEST selection of Fitness Equipment in New England. from Boston! See below for driving directions.